Today is St. Patrick’s Day, and leprechaun traps have been popping up all over the globe. Despite the phenomenon, leprechauns, as many know, cannot be trapped. 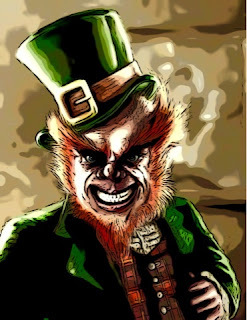 And while all leprechauns know they can’t be caught, one individual is saying it’s the leprechaun community that’s acting naïve. Upon hearing the news this morning, leprechauns everywhere were gobsmacked. Others fear the power to fade away might, one day, fade away. Calling all leprechauns! Calling all leprechauns! May your troubles be less and your blessin's be more. Let’s get trapped!